Outsource2india's civil engineering services give you the extra edge in planning, designing and constructing commercial or residential infrastructure, transportation infrastructure and distribution systems, and everything relevant to architecture and construction. 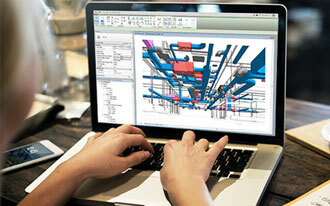 Today with most engineering companies going paperless, architectural and mechanical drawings are converted to CAD. O2I offers CAD conversion and digitization services that make archiving, retrieving, copying, editing and sharing drawings easier. 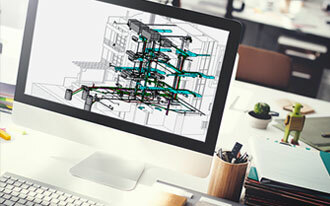 With over 18+ years of experience we are experts in CAD conversion and knowledgeable of worldwide standards and codes. Outsource2India's comprehensive construction drawing services are used for analysis, planning, and execution and provide total end-to-end construction process solutions. Using the latest technology and knowledge of worldwide civil engineering code, O2I has a skilled engineering team with expertise in AutoCAD and Revit to create accurate construction drawings at cost-effective pricing. With clients across the world O2I has drafted construction drawings for projects like commercial buildings, residential buildings, renovation of old structures, etc. with a turnaround time of 24 hours. 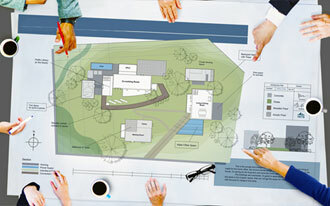 Outsource2india provides practical, aesthetic, and environment friendly land development designs which include master planning, due diligence, land development designs and detailed site designs, etc. Backed by required skill sets and global projects experience, we have successfully partnered with international architects and design firms in delivering design drafts for various international projects and have the ability to handle precise land development design requirements. Outsource2india handles critical mechanical, electrical, and plumbing (MEP) design and drafting and offers end-to-end solutions from concept design to detailed analysis. 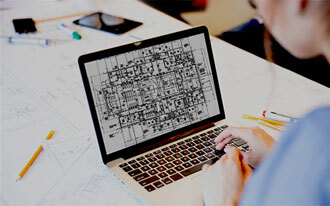 Engaging in best industry practices and backed by strong domain knowledge, O2I's engineers and draftsmen have the expertise to work on AutoCAD, Revit, MicroStation, Navisworks, EPLAN, ELIT, Carrier-HAP and Train-Trace 600. Architects, building contractors, mechanical consultants, and construction companies worldwide, look to us for our MEP design and drafting services. Outsource2india provides design and drafting of HVAC (Heating, Ventilation, and Air Conditioning) needs across global projects. We provide HVAC designs to architects, builders, contractors, and suppliers, using the latest tools and technologies. 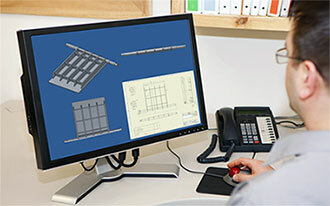 Our services also include sizing, scheduling, schematics, creating legends, details, and control diagrams, mechanical equipment layouts, elevation drawings, coordination drawings, shop drawings, and heat load calculations which comply with worldwide civil engineering standards. Outsource2india utilizes geospatial technology to offer best-in-class geospatial mapping services and accurate civil engineering solutions for various geospatial database business operations. O2I's experience in 2D, 3D, CAD, web mapping, and other related technologies has helped deliver accurate and clear geospatial images. Apart from geospatial data analysis, we offer a wide spectrum of geospatial data services that can be used extensively in evolving a profile based Geographic Information System. At O2I we harness latest technology, use global talent and engage in contemporary design practices through cost-effective solutions which helps you connect with new technology and current design developments. Outsource2india provides civil engineering expertise to clients from all over the world and helps architects, designers, builders and corporations run more efficiently and enable them to pursue innovative ideas. Latest Technologies We use the latest tools and technologies to provide quality civil engineering services like AutoCAD, Inventor, SolidWorks, XSteel, 3D Studio Max, etc. A London-based client was looking for a service provider who could produce CAD drawings of old residential homes for a restoration project. A US-based client was looking for a partner who could map the radius of specific areas and create drawings, which accurately displayed the information. Outsource2india is a leading company providing civil engineering services from India and has been serving global clients for over 20 years. With a streamlined process in place, our highly skilled and experienced civil engineers draft efficient and accurate construction drawings. If you are looking for a reliable, experienced, efficient, and cost-effective civil engineering service provider, then you have come to the right place. Get in touch with us for your customized requirements!